To me pumpkins mean autumn. Back home, there would be crisp chill in the air and the rainbow of color everywhere from saffron to carrot to beet. Along with autumn comes Halloween. And, Halloween is a pretty big deal where I come from. What can I say? People go all out for this once pagan holiday, which has evolved into a tradition of spooky fun, laughter, costumes and sweeties. Houses are decked out with graveyard scenes with witches, ghosts and goblins and glowing cauldrons brimming with treats. Pumpkins in every size shape and color abound. I always knew when Halloween was descending. But, this year, I almost forgot about Halloween as there was nothing here in SA to remind me. I had aha moment late in September when there was all this pumpkin chatter online about Pumpkin Spiced Lattes (PSL), a hot coffee drink served at almost all American coffee shops, apparently. I have never had a PSL, but it sounded dreamy. But, who wants a hot drink recipe this time of year? There are a bunch of PSL recipes online so I won’t bore you with another one. 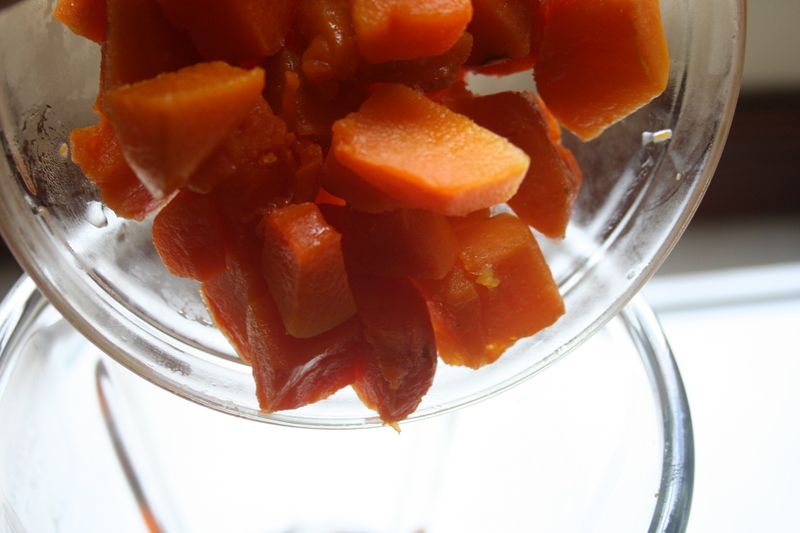 Most of the online pumpkin recipes call for canned pumpkin puree. We don’t have that here. We do have pumpkin peeled, seeded and chopped in all the stores. So, basically, pumpkin handed to me on a silver platter. I got some and baked it wrapped in foil, and made my own homemade Pumpkin Spiked Latte. And, it’s not hot and it doesn’t contain coffee. First chop the pumpkin pieces into quarters, as they are pretty large right out of the packet. This way, they will cook faster and freeze faster. 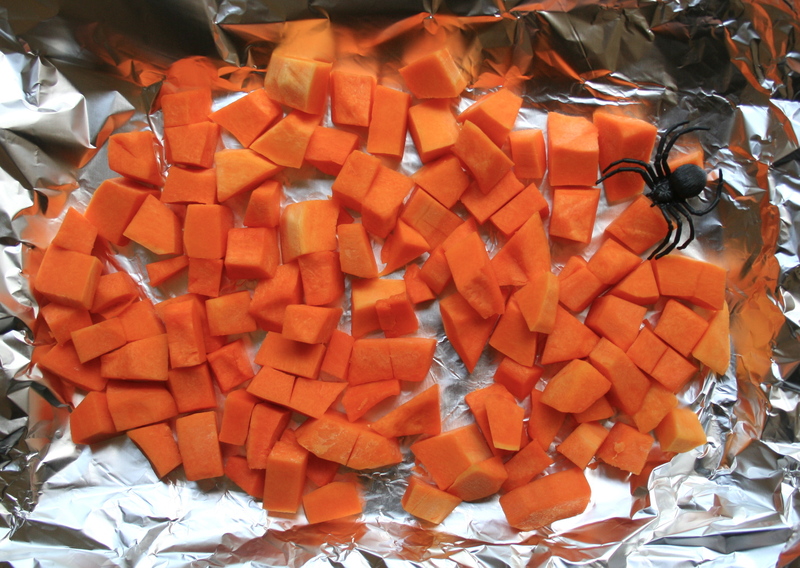 Put pumpkin pieces on a baking sheet with a large enough piece of foil to wrap them. 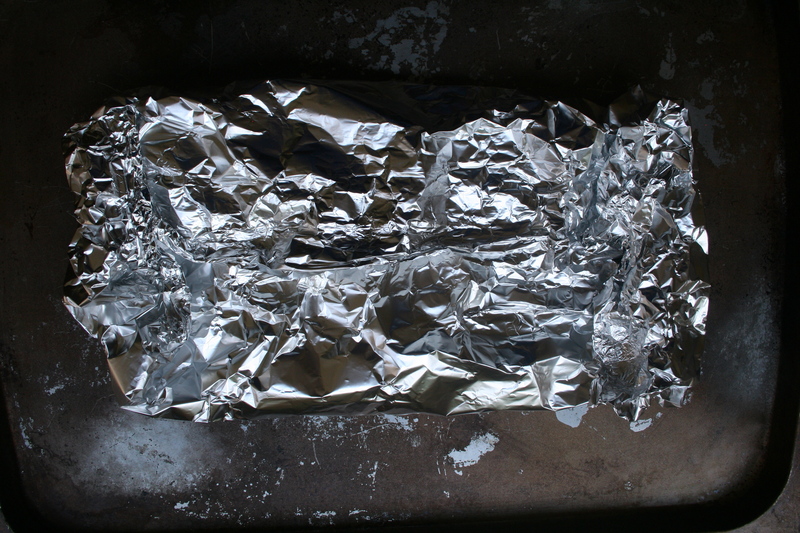 Seal them in the foil and cook for about 40 to 50 minutes on 175C (350F) until they are nice and mushy. Let cool. 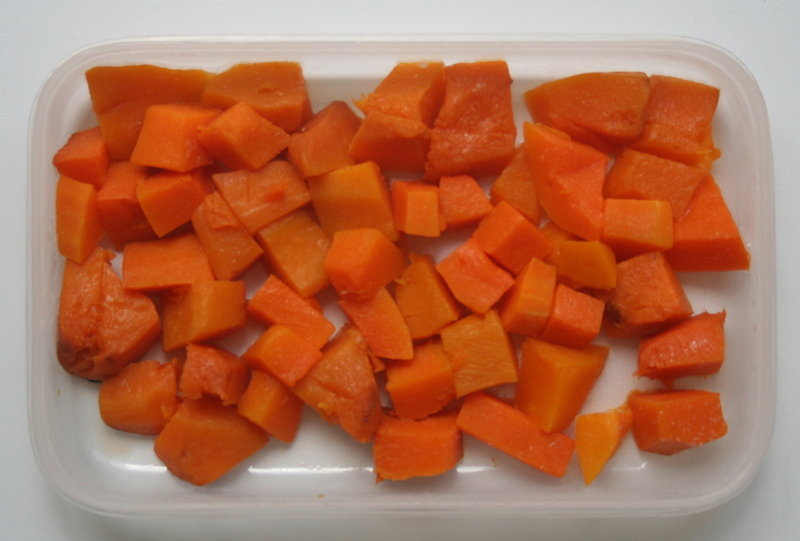 Lay the cooked pumpkin pieces in a single layer in a shallow plastic container and pop them into the freezer for about an hour – so they are partially frozen. You don’t want them too frozen or you will need a super powerful blender to do the deed. 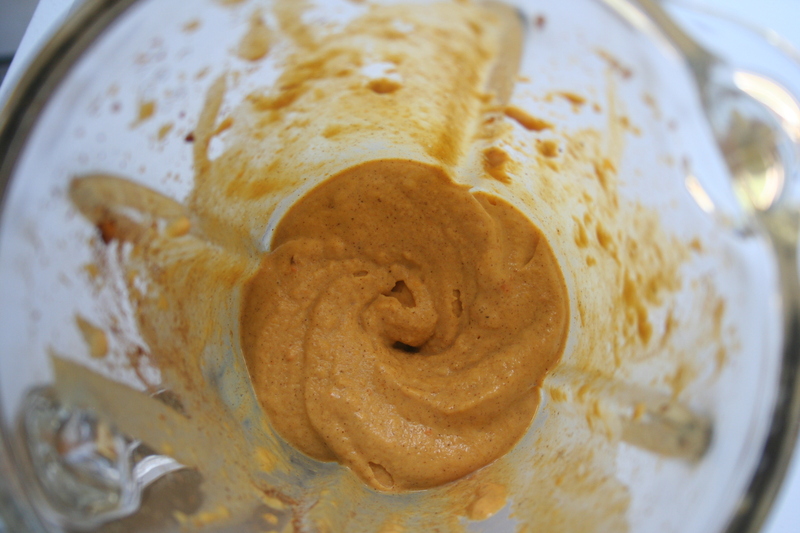 Put the semi frozen pumpkin pieces into your blender bowl. Add the ice cream. To make this less sinful, you can use low fat ice cream or frozen yogurt. 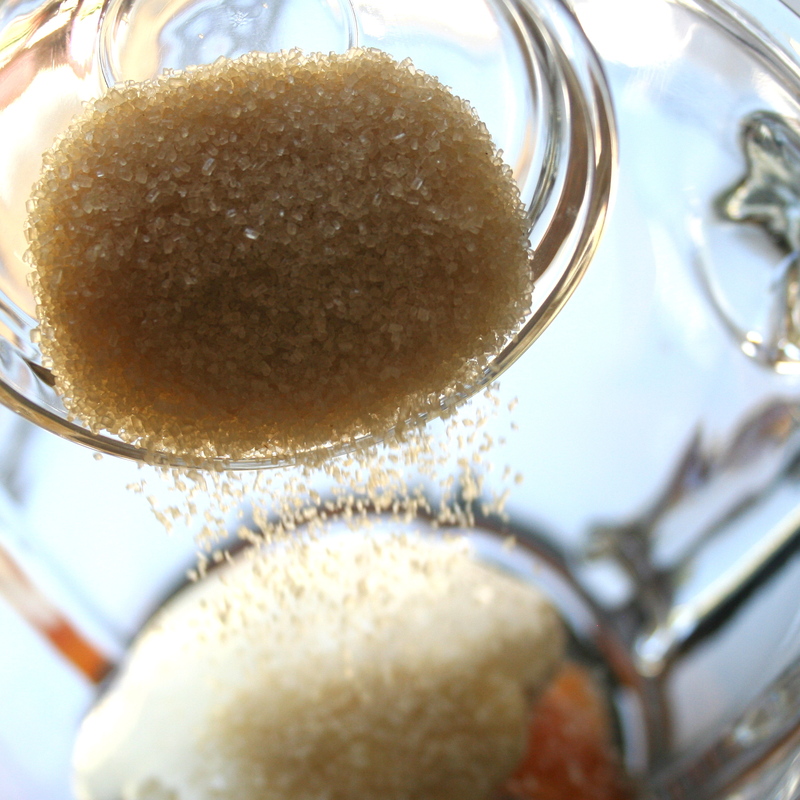 Now add the sugar. Again, if you want to whittle away a few more kilojoules, you can use the sweetener of your choice instead of the real thing. Add the Pumpkin Pie Spice. If you have not gotten around to making the spice blend, just throw in a pinch of each cinnamon, ginger and nutmeg. Now the good part. You can spike your latte by adding a shot or two of whiskey, rum or your favorite spirit. Or, you can certainly leave the alcohol out. 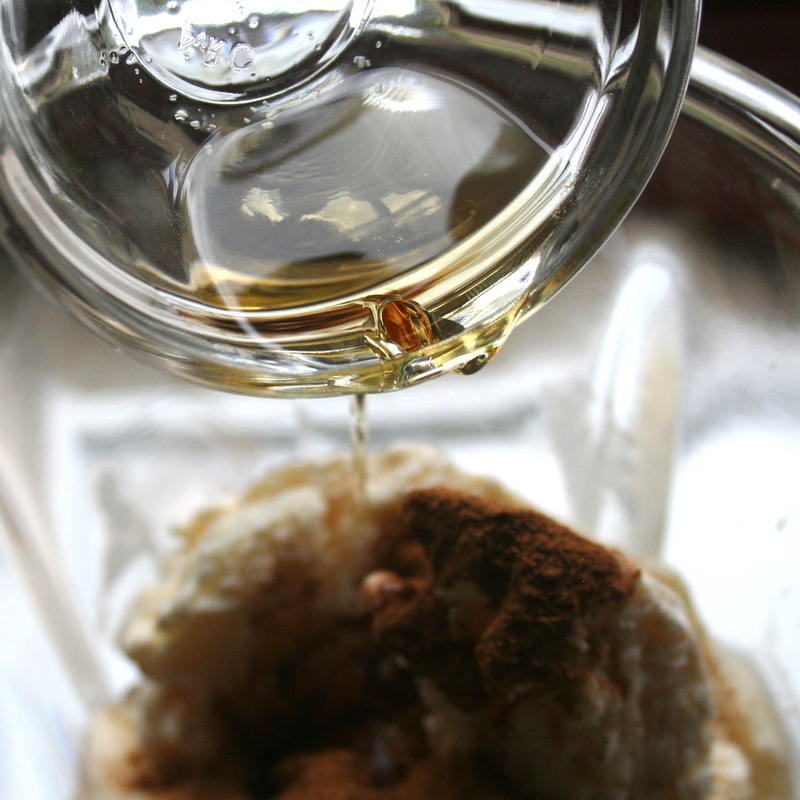 If you leave out the alcohol, you can add a teaspoon of vanilla but not necessary. Start blending. 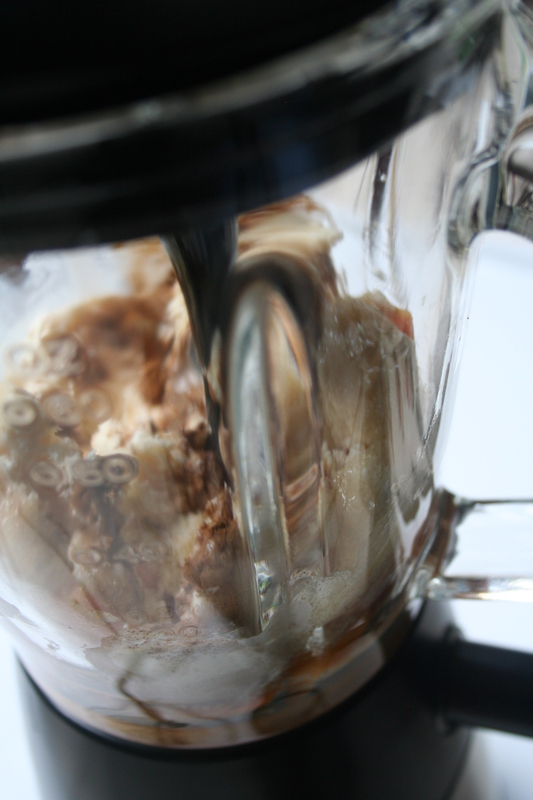 You may need to shut off the blender a time or two to break up any solid lumps with a spoon. Just take care not to turn blender on while you have the spoon in there. 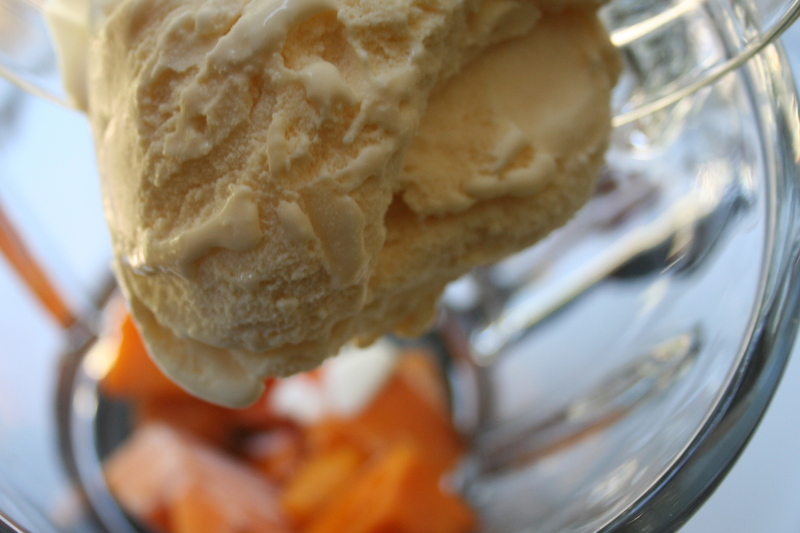 Whip it until it is smooth creamy and orange. This may take awhile. But, you will end up with a thick, creamy, frozen, spicy treat! Finish with whipped cream and a sprinkle of Pumpkin Pie Spice or cinnamon. Now, my dilemma, what to do with all that left over pumpkin? 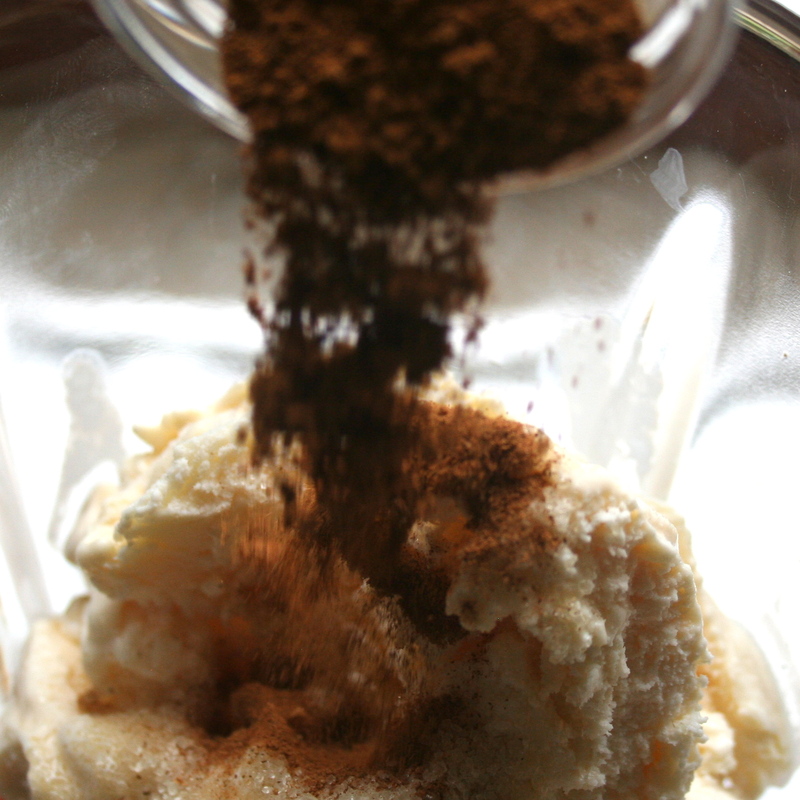 Put the semi frozen pumpkin in the blender bowl then add the ice cream, sugar, spices, and the whiskey. Start blending. 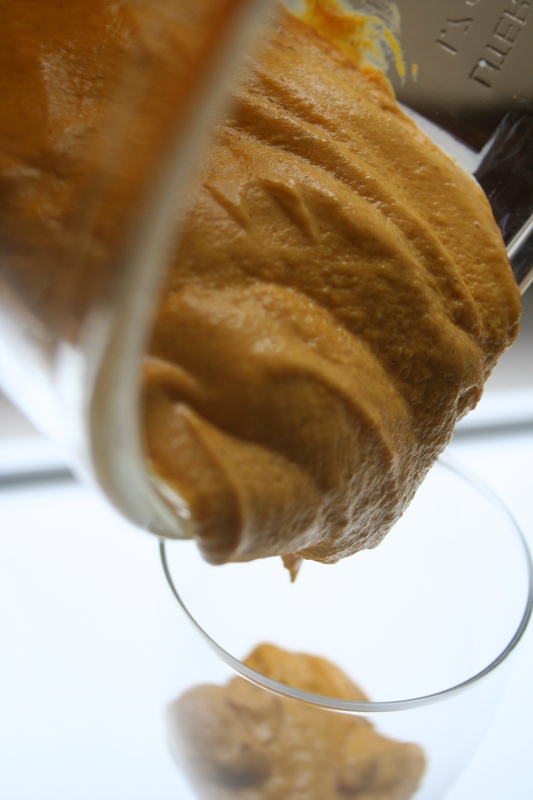 You may need to shut off the blender a time or two to break up any solid lumps with a spoon. Just take care not to turn blender on while you have the spoon in there. Hello there there forum persons! Google brought me on this page in addition the publish activity and excellent seem to be of your respective discussion board created me sign up – delay the excellent perform Ian!